Muse frontman Matt Bellamy uses Dunlop Standard Tortex .73 Yellow Guitar picks, which are customized with the Muse logo on them. Alex turner use this picks . Used during the Queens of the Stone Age's set at the 2011 Glastonbury Festival. First visible in Homme's mic stand at 0:07. Can be spotted during Green Day's rig rundown. Also used by Jason White, as seen in the same video. Green Day's picks are custom-designed, in some cases with the face of the guitar player using it (e.g, Billie Joe's has his face on his pick). "The Dunlop Tortex .73s... this is the first time we went for the multi-color imprint pick. So... thank you Dunlop." "Dan's favorite choice right now is yellow Tortex turned black and printed. It's actually the old yellow Tortex picks. We had them made of course in black and they have the Black Keys logo from the kick drum. That's actually Patrick's artwork right there, because Patrick has traditionally always done the kick drum with a Sharpie. We took a close-up and sent it to the company and they put that image on the pickups," says Dan Auerbach's guitar tech about the Dunlop Standard Tortex .73 Yellow Guitar Picks. Spotted amongst Dave's (of Chromeo) essentials. On top of [Noel Gallagher's amp](http://equipboard.com/pros/noel-gallagher/fender-68-custom-twin-reverb), yellow Dunlop Tortex Standard Guitar Picks (0.73mm) can be seen. He says: > "Thanks to Daniel at Gig Rig for building me a new pedal board. I shall be noodling now from here to eternity!" 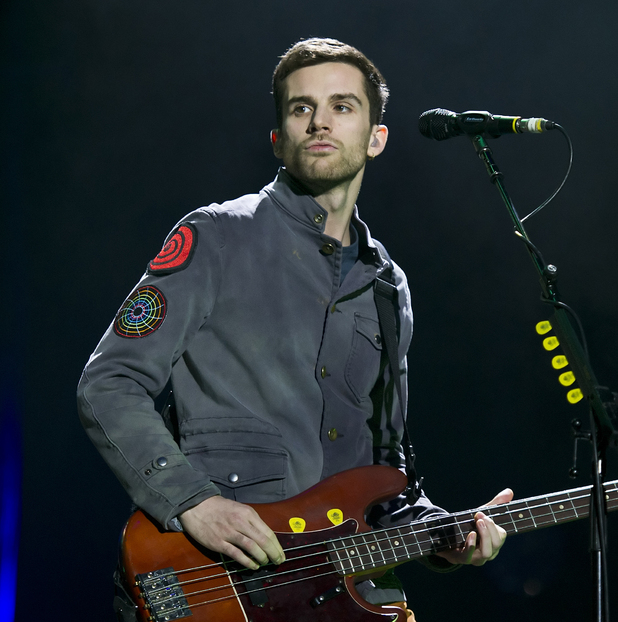 In this photo, Guy Berryman can be seen using Dunlop Tortex .73 picks. Chris can frequently be seen with a row of yellow Dunlop picks on his microphone stand. These are the 0.73mm Dunlop picks. Vengeance uses 0.73mm Dunlop Tortex Standard Guitar Picks according to this ad. 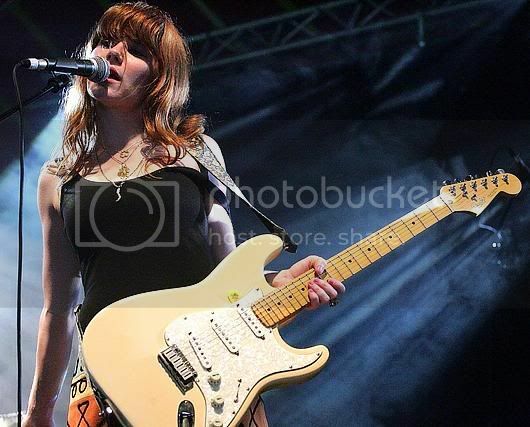 In this photo, you can see one Tortex pick being attached to Jenny's [Strat](http://equipboard.com/items/fender-stratocaster-electric-guitar) pickguard. 4:46 in the video lists David's string and pick choices. 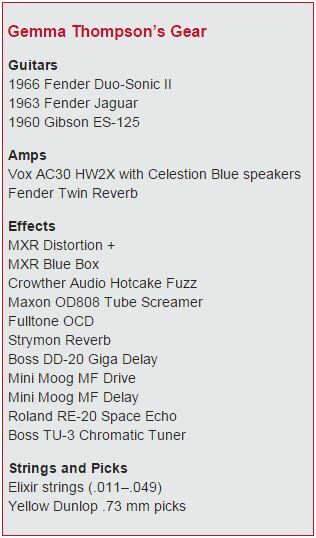 According to [this](http://www.premierguitar.com/articles/22510-rig-rundown-the-offsprings-kevin-noodles-wasserman) rig rundown, Kevin Wasserman's "preferred picks are Dunlop .73mm Tortex." At 0:18 there is a clear shot of a Dunlop Tortex .73mm Pick stuck in the pickguard. You can only see it briefly at around the start of the video because Greg is moving around the stage a bit. Caught by many fans after concerts, Jacob uses Tortex .73 yellow guitar picks. A 0.73 Tortex pick can be seen attached to Jon Fratelli's Tele at 0:53 in this video. Josh talks about his use of two different types of picks. The second is the Dunlop Tortex picks. In this [interview with *Premier Guitar* magazine](http://www.premierguitar.com/articles/23617-sonic-savage-gemma-thompson?page=2), the sidebar lists the .73 mm Dunlop as Thompson's plectrum of choice. He uses custom All Time Low-branded Jim Dunlop Tortex .73 mm picks. In an interview with Premier Guitar he listed these Dunlops as his choice of picks. In this photo you can see a yellow tortex pick under his pickgaurd. According to Vividgreen.net, “Exhaust Pipe Jeff notes that [Guster] use[s] .73 milimeter gauge (Yellow) Dunlop Tortex Standard guitar picks.” The .73 guage pick is also visible in [this photo of Miller](https://media.gettyimages.com/photos/ryan-miller-of-guster-performs-onstage-during-the-nfl-kickoff-concert-picture-id843975238?k=6&m=843975238&w=0&h=oT1GpUgOb8ECSRZwCQYgGZzT4UZAfLmF8SnOi4qM5fk=). According to Vividgreen.net, “Exhaust Pipe Jeff notes that [Guster] use[s] .73 milimeter gauge (Yellow) Dunlop Tortex Standard guitar picks.” Three are visible in Gardner's mic stand in [this photo from Guster's On the Ocean 2018 show]( https://www.gusterontheocean.forestcitymagazine.com/fullscreen-page/comp-isj1h80f/5b7b62b5-976f-401a-8a8b-77a504217f9a/3/%3Fi%3D3%26p%3Dc1l9m%26s%3Dstyle-j9cmukh5%26rl%3D2). Guitar.com: And what kind of picks? Loeffler: I use .073, yellow tortex. Guitar.com: Dunlop? Loeffler: Yeah. Listed on Britanny's artist page on Dunlop's official site. If I find a better photo i'll put it up, but i've seen them live twice and both times I had seen them. Plus I was lucky enough to have been given one right off his stand. According to his Premier Guitar [rig rundown](http://www.premierguitar.com/articles/20659-rig-rundown-the-devil-wears-prada), Jeremy DePoyster uses Dunlop Tortex 0.73 picks. Van is seen using Tortex .73 yellow guitar picks at his concerts. He keeps his picks on top of his amp. The yellow make them very easy to spot on stage at the T in the Park Festival 2015. Clem using a Tortex .73 pick at 0:16 and 0:26 -"Trick or Treat Dance Floor" (Live in Echo Park, CA) throughout the entire JAMINTHEVAN session. According to Premier Guitar's article, Sullivan uses the Dunlop Tortex picks with thickness of 0.73 mm. 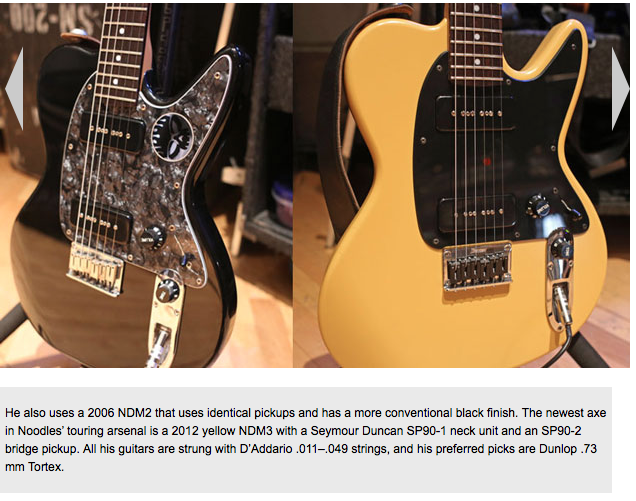 Philip is listed in this Premier Guitar article as using standard Dunlop picks. In the London o2 on the 7th and 8th of april as 5 seconds of summer's support act on the sounds live feels live tour. Can be seen clearest at 3:25 in the video in his holder of his microphone stand. 1.31 minutes into the video, clearly shown in Declan' left hand. Tom can be seen strumming and picking with what appears to be a yellow 0.73 standard Tortex pick. I personally received Alfred's after he played his show with Tusky at De Heks (Deventer, NL) during the Popronde Festival on the 11th of November 2017. On the proof picture you see the pick on my wall next to some Tusky setlists. I found an opened pack of these while I was cleaning the other day and I have really been enjoying the happy medium width, sweet.... just enough flex when I choke back on the pick and plenty of stiffness if I choke up and grip it with more authority! Great material as always from tortex and a really good width for both hybrid and flatpicking styles. Perfect size, flexibility, and grip. Good for speed picking or soft strumming. My favorite guitar pick for years. wasn't Mikey the Orange turtle? yeah but he's my favorite turtle. Nothing wrong with them at all. Even after extensive use, they stay firm. Great. I just got some. I just got a pack of these and I like the sound so much more than my old picks. I'm always going back and forth between these and the Herco Flex 75s. These are more suited to rhythm playing while the Hercos are better for lead-guitar and bass playing. Grab a blade and scratch all over the surface: now you have a nice grip on your nice pick. Amazing guitar Pick! It simply feels and fits like a GLOVE to my hand. I've been using these picks since I started playing. At first they were hard to work with because I didn't understand very well how to play guitar, or play with a pick for that matter either, but these are great picks and I will be continuing to buy them and play with them. As a rhythm guitar player I haven't found a better pick that has as low a flex for the gauge than my trusty Yellow Dunlop Tortex Picks. These .73 picks are greta but they wear out quickly after heavy use. I like these picks because they don't wear away as quickly as others, the ONE thing that I don't like about these picks is they only come in one size. Blue is my favorite of these. I play aggressively and I am yet to have the ink come off or to have one break. I fell in love with this picks! I just love them! I play very agressive on my guitar, and with other picks they just break. The right thickness for my fingers and strings. Powerfull in acoustic guitars. Never got any other broken like the others. I used this from when I started guitar until a few months ago. It can be used for many styles. As Billie Joe Armstrong uses those, I decided to buy some of them. They are amazing, and were my first choice, and I love them, but they are more for strumming. Also, for any kind of genre.